Here at Food52, grocery stores play an invaluable role in all of our lives. We can’t seem to stop talking about them, whether it be the biggest Indian grocery store in America, Trader Joe’s snacks we could polish off in one sitting, or Costco products we’re mildly—OK, strongly—obsessed with. The comments sections on those stories go on for pages and pages—which is why this time we wanted to include you, the community. Here I’ve collected the things we love to get at ALDI, the German discount supermarket chain that just seems to have it all. 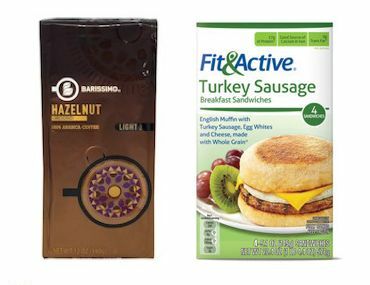 Especially affordable prices, the main reason we can’t stop raving about the grocery store (which has multiple locations scattered across the United States and the world). And for the superfans, you’re in luck: They just got Instacart, so you can have those priced-down goodies delivered straight to your door. 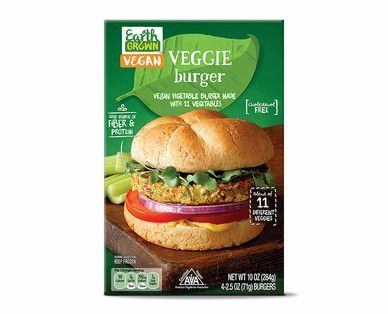 Katie Macdonald, Assistant Editor: I’m a big fan of their Earth Grown veggie burgers—especially the Quinoa Crunch one! It’s a great last-minute dinner when I’ve had a long day. The Kale Veggie one is very good, too. Nancy, Community Member: We used to LOVE (and I mean love!) their Frupa (!) brand blackberry preserves. They were the best store-bought preserves ever with tons of whole berries. 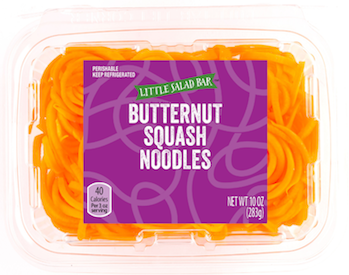 Jessica, Community Member: I usually go for the frozen veggies and other frozen goodies at Aldi. I find it interesting that I don’t know most brands and that’s also part of the allure. Prices are quite inexpensive, too. Then, when I get the munchies I discover some new junk food like their chips from time to time and indulge in a bag or two. 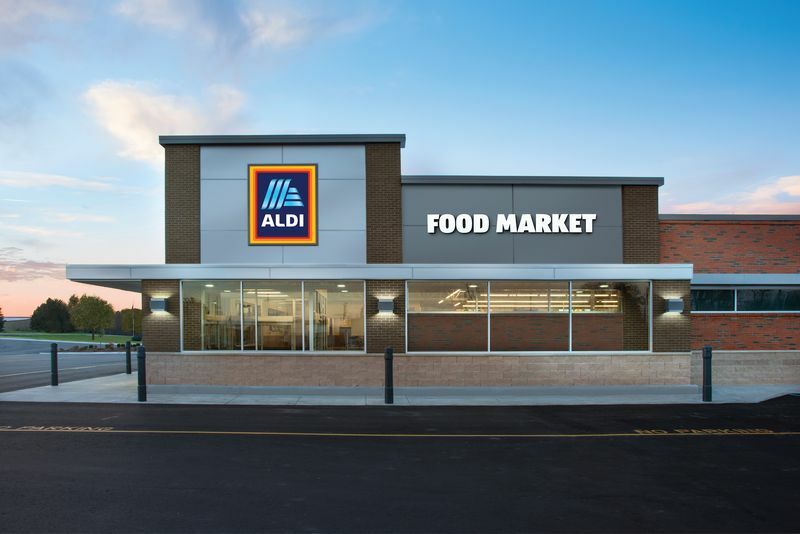 Rebekah Daniels, Account Manager: The coffee at Aldi is great! My favorite is the hazelnut flavor. I’ve made the trek up to 116th from Brooklyn on numerous occasions to buy it in bulk, along with those family-pack luncheon meats, like ham and turkey, and cheese. And then we go to the Costco that’s right there for croissants (because they sell them in bulk) and make a bunch of sandwiches with our loot. We like sandwiches. Not unlike Trader Joe’s, Aldi has their own brand of things. 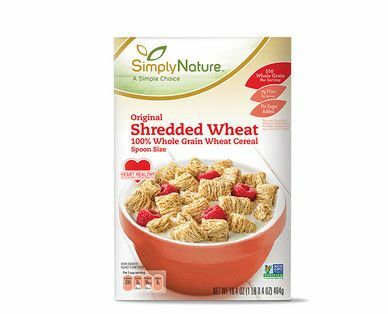 It’s very cheap, which is why I like to get things like off-brand Chex and oats (I think it’s cheap because it’s not big-name Quaker and stuff; it’s like, Aldi-brand). Katie, Rebekah’s Roommate (as told by Rebekah): Breakfast sandwiches, frozen. My roommate eats the Fit & Active ones in the morning. Also, when she goes home to Florida we may or may not task her with sending back a box full of coffee just so that we can push off the journey to Aldi for as long as possible. Brinda Ayer, Books & Special Projects Editor: These nutty, crunchy, almost-dessert-like granola bars are the perfect afternoon pick-me-up; I often keep one in my purse in case of emergency hanger situations. 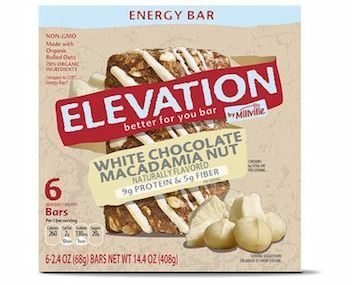 Bevi, Community Member: Elevation fruit and nut bars and Simply Nature coconut bars. spiffypaws, Community Member: Mint chocolate bars. Ella Quittner, Food Writer & Recipe Developer: I put cinnamon in everything—like, probably more things than I’m supposed to. Pancakes (yes I’m an adult who regularly eats pancakes), coffee, yogurt, chocolate tortes, baked fruit, and a drink I make at night with cashew milk and adaptogens that my boyfriend makes fun of. Joanna Sciarrino, Managing Editor: I love cereal, but it’s prohibitively expensive in New York City (like $6 for a regular box). Luckily Aldi-brand cereal is an absolute steal at ~$2 per box, so I stock pile when I go, which is or isn’t a good thing. MMH, Community Member: I stopped in after work the other day. It’s like going to a private label Trader Joe’s. They had the whole almonds rolled in dark chocolate and turbinado sugar but without Trader Joe’s name on them. They had lots of fun snack items, really cheap private label organic milk, great prices on organic produce, the to-die-for white cheddar (it was great), huge take-and-bake pizzas. It’s in my orbit and I need to go back more often. Rach, Community Member: I love Aldi!! I like buying the orange chocolate. And at times their eggs and avocados are ridiculously cheap. And once in a while they seem to get a variety of food imported from Germany that is not my normal fare but fun to try. Luz Ramirez, Marketing Manager: I get the Peaks & Tides Cabernet Sauvignon. It’s affordable but good. Also, I keep hearing great things about this wine Advent calendar they’re bringing to the States this year, where you can open 24 tiny “doors” of mini red, white, and bubbly bottles. Erin Alexander, Assistant Editor of Partner Content: So when I’m there I just stock up on a boatload of SimplyNature organic hummus. There are three I get to change it up: classic, red pepper, and garlic. I also get this chocolate chip sliced brioche loaf that’s so good as French toast. And ever since the Cynthia Nixon incident, I’m pretty into cinnamon raisin bagels, so there’s this gluten-free one I’m surprised is gluten-free because it tastes good. Me (Eric Kim, Senior Editor): I actually live uptown by the Harlem ALDI and love the bargains, too. Here’s my grocery list (don’t make fun of me): Little Salad Bar butternut squash noodles (which I toss with some browned butter and sage, lots of coarse sea salt), SimplyNature Organic White Cheddar Puffs (these are addictive), the white cheddar (like MMH above), Appleton Farms Prosciutto, and as many eggs as I think I can carry back. I eat so many eggs. What do YOU get at ALDI? Let us know in the comments below.